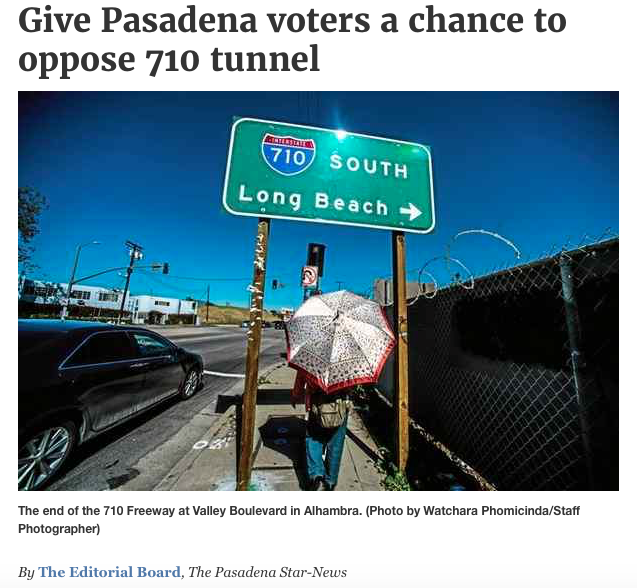 710 Study San Rafael Neighborhood Posts: Pasadena Weekly Election Endorsements: Why Are They All 710 Tunnel Supporters? Pasadena Weekly Election Endorsements: Why Are They All 710 Tunnel Supporters? Mod: I have often believed that the Pasadena Weekly can be bought. Out of all our fine local publications (a few of whom often claim to have more influence than they actually do), the PW is on the top of my list to potential pay-to-play papers. If you have any doubts about this, click here for a quick refresher on last year's Tyron Hampton/Andre' Coleman controversies. And I have to tell you, their election endorsements this week smell awfully fishy to me. 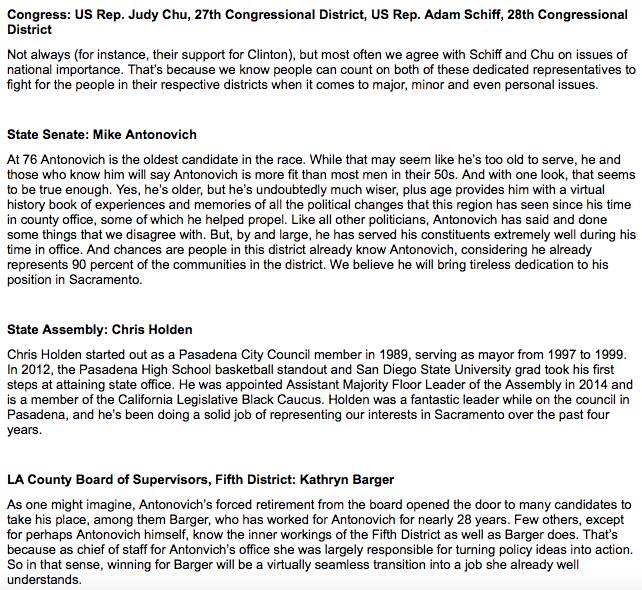 I mean, how can you endorse both Bernie Sanders and Michael Antonovich in the same breath? It just seems like too much of a coincidence. Support for the hole from hell is the only thing all four of these shopworn political perennials have in common. So what gives? 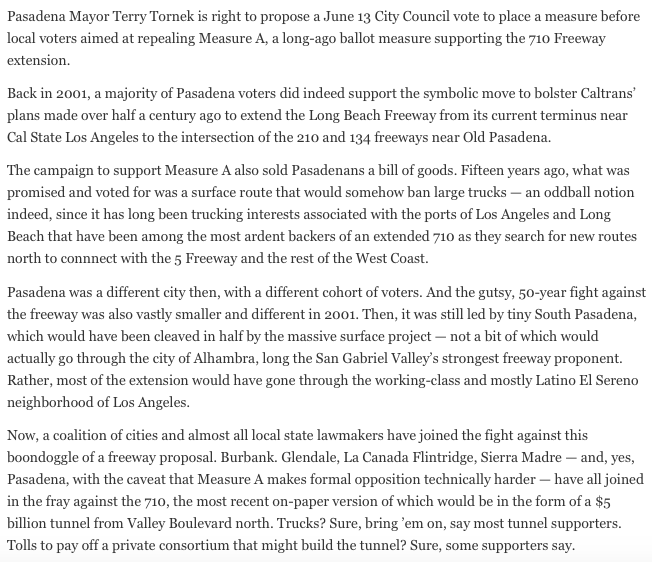 The real City of Pasadena is taking its opposition to the Alhambra Abattoir to next fall's ballot, and that really is a marvelous thing to see. Check out this Pasadena Star News editorial. For the rest of this important editorial click here.